took place in Athens on the 24th of April, 2009, at the Attikon Cinemax Class Theatre. 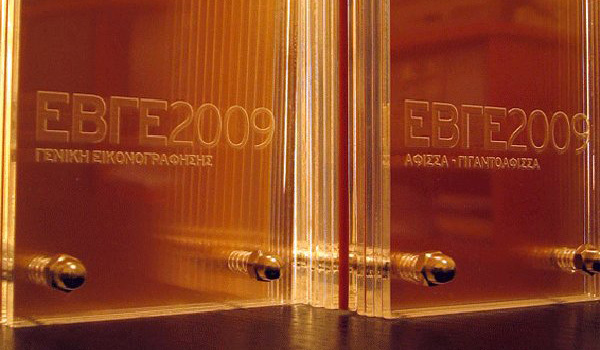 For more information on the Awards (Greek only) please visit the official EBGE website. 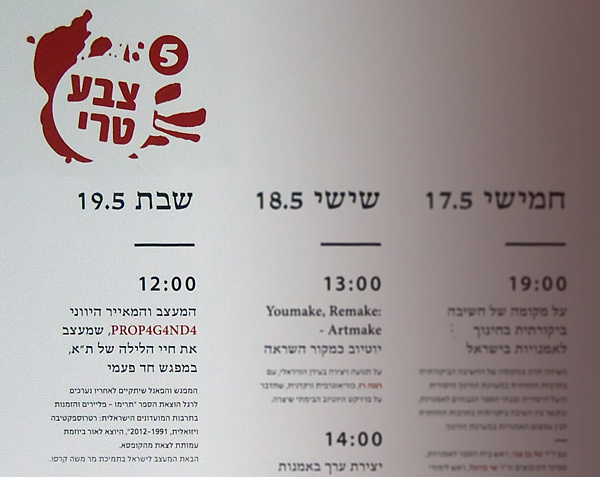 took place in Athens on the 14th of April, 2013, at the Onassis Cultural Centre. 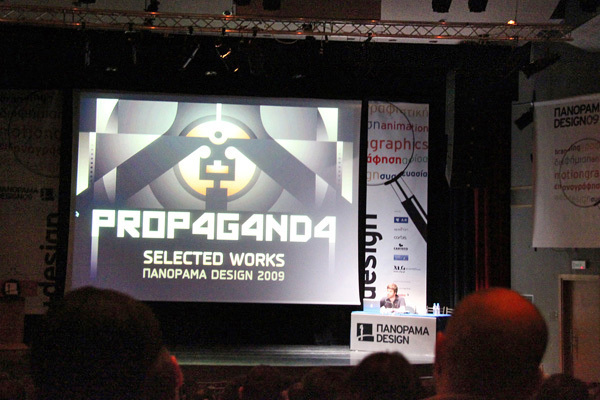 Panorama Design 2009 at the Arts Center, Halandri/Athens. their work, along to their views on real issues concerning the market of visual comms. happenings, with main denominators the Poster & Flyer mediums in Greece & abroad. Vector design, methodology, technique, collaborations and various case studies showcase. Fresh Paint 5 at The New Highschool, Kiryat Hachinuch (Tel Aviv / Israel). Fresh Paint Contemporary Art Fair is Israel’s largest, most influential annual art event. The fair brings together all the leading galleries and significant forces of the Israeli art scene in the collaboration with all the Israeli museums, and enjoys the support of leading international art institutions, thus attracting over 30,000 visitors. PROP4G4ND4 was an invited speaker at the Fresh Paint Salon (19 May 2012) for a work presentation / audience Q&A.